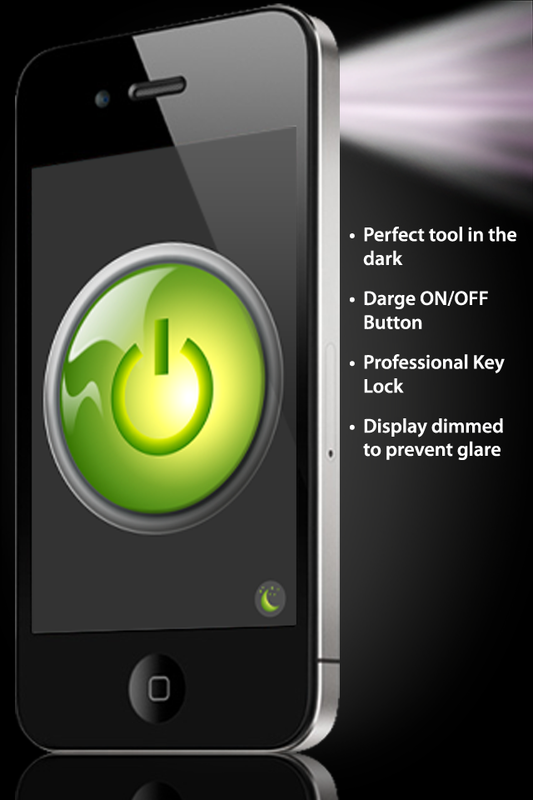 FireFly Flashlight is not a simulation but a real flashlight application for iPhone 4. It uses the built-in LED, special safety feature provides trouble-free usage. It is controlled by a large ON/OFF button in the middle of the display. Safety blinds can be closed to prevent display glare or accidental display contacts. 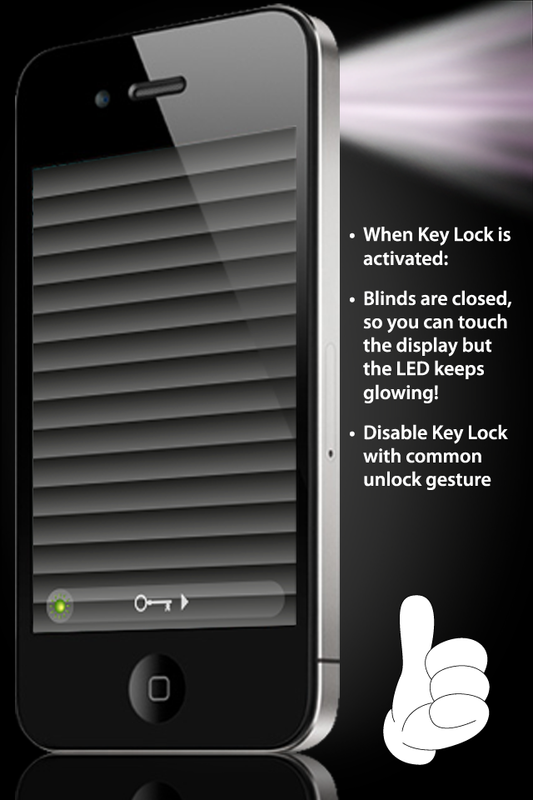 While working in the dark Key Lock remains activated. It can be disabled with common unlock gesture.